Samson offer a larger range of certified security doors than any other UK supplier, all of which can be tailored to suit your individual requirements. Our strong understanding of the needs of the security industry, combined with our product and service innovations, has seen Samson partnerships develop with some of the UK’s leading physical security provider. Our catalogue offers suitable options for both industrial and commercial buildings. Different levels of security certifications are available in various sizes and designs, meaning you’ll be able to hand-pick the solution that is right for you. LPS 1175 SR1 doors, for example, are great for increasing the security of a domestic property. Meanwhile, LPS 1175 SR4 doors have undergone rigorous testing and never been broken into, making them perfect for buildings that require a high level of security. Additionally, all of our high security doors are available with a four-hour Certifire rating, for extra peace of mind. Follow the buttons below to find out more about Samson's security rated steel doorsets. The Samson SecurGuard and SecurGuard + offer varying levels of security depending on the amount of security risk associated with your application. 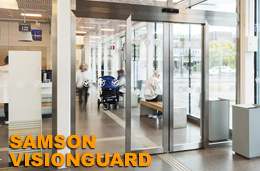 For commercial applications such as hotels, offices and shops, the Samson VisionGuard offers rated security features whilst presenting a sleek, clear appearance. 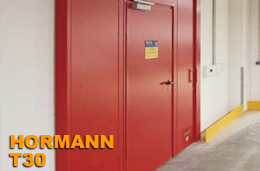 Hormann's T30, T60 and T90 steel doors offer protection in regards to both fire and security with their 62mm thick panels. 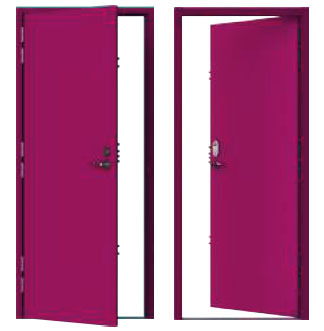 An outward opening single door design, certified by the LPCB to LPS 1175 SR1. Featuring many of the benefits of M2M+, the M2M1 has the added advantage of independent third party testing. These doors are durable, and designed for internal and external use, to cope with high traffic. LPS 1175 SR2 doors, that are also available with a Certifire rating of 240 minutes. They’re a great option for locations that require a higher level of security against opportunist attacks, which has made them particularly popular among utilities clients, and companies operating within remote or substation sites. M2M2 doors are suitable for a variety of applications; including perimeter security in medium to high risk environments, energy, water, waste and telecom sectors, retail, distribution, and commercial properties. Doors are available in single, double, and leaf & half configurations, with a large range of hardware and vision panel options. These doors are also available with optional acoustic rating (tested by Lorient to BS EN ISO 10140-2: 2010), with RW ratings ranging from 40dB to 42dB depending on specification. If you’d like to learn more about our range of LPS 1175 SR2 doors, please give us a call on +44 (0)1933 274 276or complete the contact form, and we’ll get back to you as soon as possible. 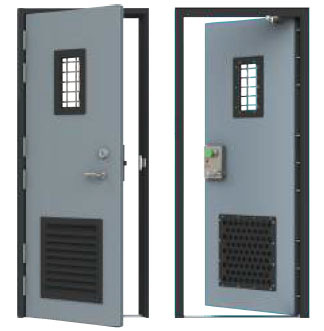 This range of SR3 doors have undergone rigorous testing procedures, which determine their ability to withstand deliberate and pre-meditated forced entry attempts, using bodily force and a number of attack tools. For more information about how the standard of our SR3 security doors was determined, take a look at our product certification information. The M2M3 range offers an extensive scope of certified steel doors, suitable for all personnel, fire exit, access control and utility applications. 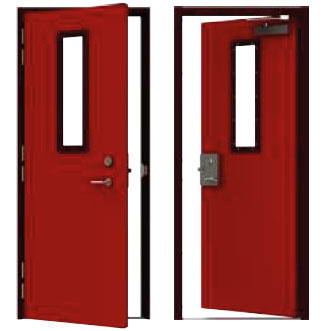 Doors are available inward or outward opening single, leaf and a half, and double door sets. Available with a wide range of hardware options and bespoke powder coating finishes (including a highly convincing wood-grain effect), so each door can be tailored to your needs. For buildings that require a different level of security, we also offer doors that are certified to LPS 1175 SR1, SR2 and SR4. The M2M4 range offers a selection of certified single, double, and leaf and half outward opening doorsets, and single inward opening doorsets, suitable for all personnel, fire exit, access control and utility applications. To achieve certification, the M2M4 doors were subjected to an attack test, simulating experienced attempts of forced entry. Tools used in the SR4 testing include a disc grinder, felling axe, hole saw, jigsaw, sledgehammer, and plate shears. The wide choice of available hardware and options enables M2M4 doors to be tailored to individual customer requirements. These doors are also available with the added benefit of an FD240 fire rating, under the CERTIFIRE scheme. Offering the highest level of security, the M2M4 door has never been successfully broken into.